Enjoy a Wild Night on Wheels, Hire a Bachelor Limousine! You can envision your special day. We can make it happen! The desire to have a wild night enjoying a bachelor party in a safe environment would definitely make you opt for a bachelor limousine as your choice mode of transportation. At present, bachelor or bachelorette limousines are available equipped with the amenities ideal to create a jubilant atmosphere in the vehicle itself. They even feature different seating capacities. 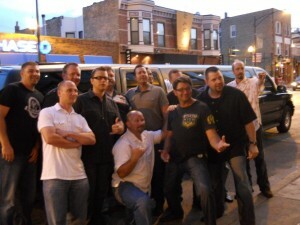 There are bachelor limousine services capable of accommodating up to thirty passengers at the same time. Go for the one which fits well with your requirements and the luxuries you wish to have for your party. Following are some other facts which make a bachelor limousine the ideal mode of transportation for your bachelor party. At present, we feature bachelor or bachelorette limousines which offer neon bulbs, fancy LED lighting and even soft drinks in the vehicle. Some of the limos may have the services of a staff to serve the drinks. With high quality music, plasma or LED TV and great stereo system, a bachelor limousine is ideal for someone who wants to have a party on wheels. You can have your own nightclub or gentleman’s club and take it anywhere in Chicago land or beyond. We feature a variety of limos that can accommodate your party. From 6 passenger stretch Town Cars and stretch Lincoln Navigators that can make a small party memorable to 30 passenger party buses that can really make party a party, you will absolutely have no need to look further for an appropriate car. A pole in a party bus will serve its role to help you get treat for your eyes, right? From quiet party to a noisy fun, it is your pick and we can help to make it happen in Chicago and its suburbs. Inside of our bachelor limos you can find drink bars, sound systems, DVDs and memory stick players, MP3 and iPod connectors to run your music and to have the party go down as you plan! TVs and LED lighting, mirrors and comfy seats will just make it that much more special. Whatever is your option, an exciting ride to the party venue or from there to home, a bachelor limousine makes sure that you arrive at the location on time. Most of the time, the participants in a bachelor party may be mellow or juiced. This creates a situation where a well-experienced driver is a must-have for a safe journey. This is what you get if you hire a bachelor limousine. Here, you are not required to drive making your journey to and from safe and punctual. If you wish to enjoy a sight-seeing trip as part of your bachelorette party, hiring a limousine is definitely the safest option. Almost all the limousine services offer the services of well-informed drivers to those who desire. They would help you plan your trip in such a way that the enjoyment remains free from tension. If yours is a group which is new to the area, these drivers would also assist you in determining great locations, affordable accommodations and even book a flight to the destination of your choice. There are many popular bars in Chicago and subusrbs that can be a good suit for bachelor party to crush at like Evil Olive, Transit Nightclub, Bon V Nightclub, Original Mothers, Funk Nightclub, The Loft, Bootleggers, Detention Nightclub, The Stretch, Red Ivy, Rebel Bar, The Curse, Uncle Fatty’s Rum Resort, Rock Box, Amp Rock Lounge, Hogs and Honeys, Joes on Weed, Funky Buddah Lounge, The Hang Uppe, Enclave, The Underground, VIP’s, Club 390, English Bar, District Bar, Lasalle Power Company, Spybar Nightclub, Crimson Lounge, The Joynt, Sound Bar Nightclub, Griffin Lounge, Jbar, Excalibur Nightclub, Vision Nightclub, Leg Room, Macfaddens, Pink Monkey, and Scores just to name a few! There is no doubt to the fact that booking a bachelorette limousine or party bus is going to be a strain on your budget. But, you should understand that luxury demands high price. The more comforts you need, the higher the price would be. However, if you are willing to negotiate a bit, you may be able to get a great deal. You may also have to book well in advance. At present, you don’t even have to leave your home to book your bachelor limousine. Just review our web site, chat or call us and book for the limousine of your choice online or over the phone. 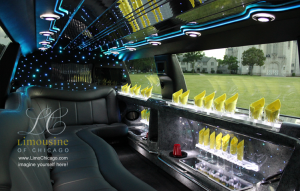 You are always very welcome to call us or chat with us with any question regarding our limousine services in Chicago. Our friendly staff will be happy to listen to your needs, take them into consideration and suggest the best solution that needs your needs. Give us a chance and you will not be disappointed!